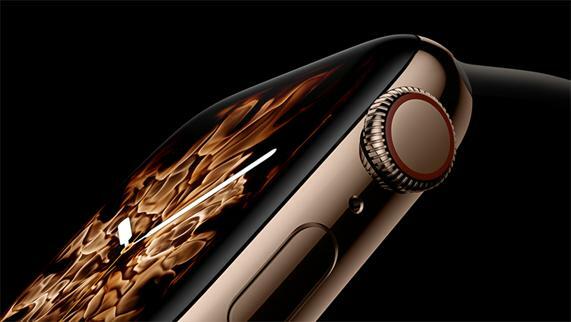 For pretty much as long as smartwatches have been a thing, the Apple Watch has been treated by many as the gold standard. And even if it hasn’t hit the critical mass that early adopters expected it to, the Apple Watch is still far-and-away the most popular and successful smartwatch out there. It’s the smartwatch that even works for people who don’t usually wear watches - and that particular approach is always going to make it a better fit for more people than the horological orthodoxy found elsewhere. So if the new Series 4 is more of a technical tweak than a major update, this situation probably isn’t going to change anytime soon. 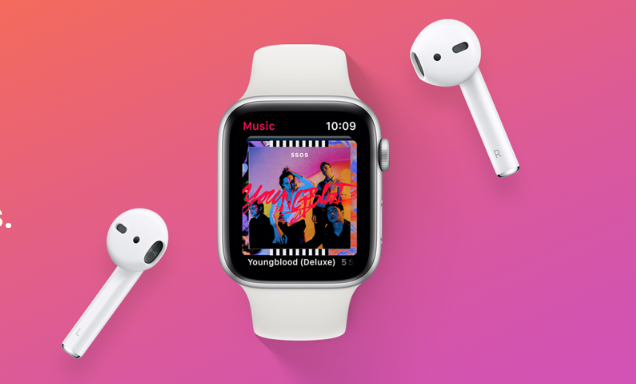 The usual caveats apply, but the new Apple Watch is still far and away the best smartwatch experience out there - even if it’s still saddled with the caveat of requiring an iPhone to actually use. 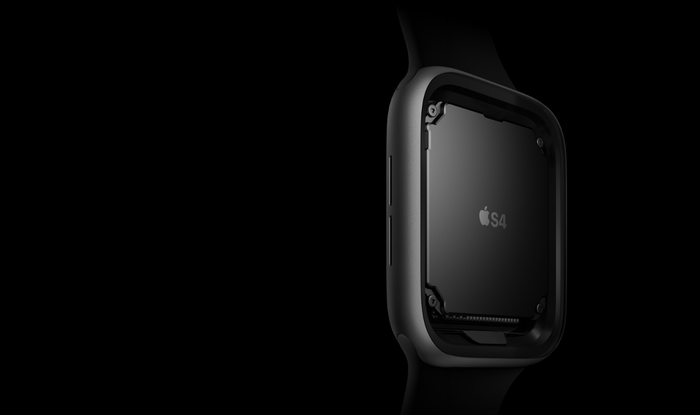 Price: $599 (GPS model) or $749 (LTE). Aesthetically, and at a glance, it’d be easy to mistake the new Series 4 Apple Watch for its predecessor. However, there are a few differences to note - some of which are more visible than others. Firstly, the display. The new Series 4 Apple Watch features a reworked OLED display that features thinner bezels and a 30% larger viewing area within a form-factor that’s more-or-less the same as last year’s model. It’s a neat trick that yields tangible benefits. In practice, the Apple Watch’s display looks gorgeous to behold, and at 1000 nits of peak brightness, it can be be easily seen and used in almost any environment. The Watch Face customization options here are also much more rich and interesting to engage with. Sure, you can put a traditional watch-face on this thing. However, there’s so many other ways to go with it. As with previous models, the Series 4 Apple Watch understands that there’s intrinsic value in leaning into the things that smartwatches can offer that regular watches can’t - and that’s a sentiment that I found really resonated with me. Other wearables sometimes come across old-school watches with smart functions. The Apple Watch feels like a truer sort of smartwatch. There are also a few more technical improvements here. The amount of on-board storage has been doubled - a move that’ll likely thrill those limited by the Series 3’s paltry 8GB - and the Apple Watch’s digital crown control dial has also been re-engineered. At the outset, this setup reminded me a lot of the twisty bezel on the Samsung’s Gear Sport and the new Galaxy Watch. Like those products, the Apple Watch uses a hybrid control scheme to get the job done - and to great effect, no less. 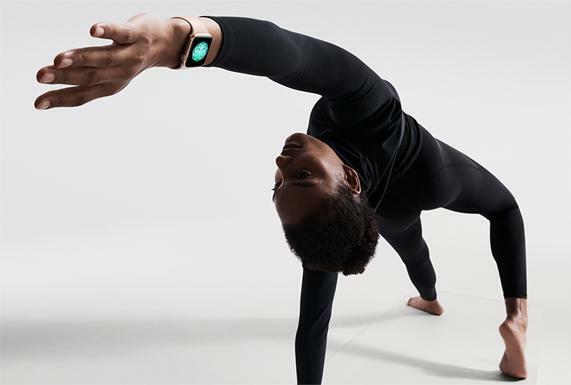 As for health and fitness tracking features, the new Apple Watch takes the previous generation’s combination of activity, sleep and heart-rate monitoring and builds on it an interesting way which, unfortunately, isn’t yet available for Australian consumers. The new Series 4 Apple Watch boasts an electrical heart-rate sensor, which is capable of diagnosing atrial fibrillation. If and when this feature arrives locally, it’ll allow you to take an electrocardiogram using the wearable. However, as mentioned, the feature has yet to arrive in Australia - so we don’t have a whole lot to say about it at this time. Performance - How does the Apple Watch compare to the competition? You’ll need an iPhone to set up and use the Apple Watch but, assuming you have one, the process isn’t much of a hassle. You simple pair the two devices, tick a few boxes and away you go. And once you are set up, the Apple Watch is an incredibly usable piece of tech. It feels great sitting on your wrist and the hybrid control scheme leverages the hardware well. You use touch controls when it makes sense and the digital crown for everything else. Though it's not as good as it could be, the library of available apps for the Apple’s WatchOS ecosystem feels far richer and more fully-featured than its Android counterpart. The fact that you have the option for cellular connectivity means that you can actually get by using the Apple Watch entirely independent of an iPhone remains a compelling hook (even if it does come with a cost to battery life). That said, the limitations that the WatchOS version of Siri has are sometimes a little stifling to the device’s broader potential. Like the on-board Bixby found in the Galaxy Watch, this aspect of things things only a few tweaks away from The Next Big Thing when it comes to smart assistant experiences: truer, ubiquitous mobility. With casual everyday usage, I’d often go about two to two-and-a-half days on a single charge. If I went for a run or spent a bit more time messing with the device’s other features, that number would go down, but it’s still far better than I expected - and far closer to the Apple Watch’s competition than I anticipated. It’s worth noting here that the Series 4 Apple Watch was my first opportunity to dabble with Apple’s wearable hardware and for all that Apple’s smartphones suffer when it comes to battery life, I was honestly taken aback at just how long I could get by before I needed to recharge the Apple Watch. That said, I was a bit irked to see that Apple have continued to stick with a proprietary charger. When they announced last year their intentions to integrate with the Qi ecosystem, I had hoped that future Apple Watches would embrace wireless charging. Unfortunately, it looks like we’ll be waiting another year for that at the least. These days, I’m not a huge Apple person. I used to be. iPhone, iPad, Macbook. I used to own the whole set. Nevertheless, my trial period with the Series 4 Apple Watch has me wishing I could buy one. Unfortunately, the requirement to own an iPhone and buy back into the Apple ecosystem is a hard ask for me - and I suspect this is true of many other potential Apple Watch buyers. Having jumped between countless Android smartwatches and fitness bands over the years, I was honestly shocked at just how much more compelling Apple’s flagship wearable is to use - both in terms of hardware and software. If you already own and use an iPhone, the Series 4 Apple Watch is a $600 accessory you’re going to want to shell out for. If you fall into that box, it's not a matter of should you buy an Apple Watch but when. Unfortunately, if you’re like me and aren’t already an iPhone user, the reality that you’d have to become one in order to then buy an $600 Apple Watch is difficult to parse. This is the wearable you probably want to buy - but can’t. And unless those terms of entry change, you’re probably best served waiting for the rest of the tech world to catch up. The Series 4 Apple Watch is the best smartwatch money can buy, and the smartwatch that iPhone buyers should probably eventually look at buying. Everyone else need not apply.